Who is that tall golfer? Thanks really must go out to our exceptionally kind host Anne Perry at Mid Town Farmohouse in Long Marton. I imagine that she will quickly get a sale (and that the new owners will not be running a bed and breakfast) so if you want to enjoy the best hospitality in Cumbria you had better book quick. Consequently we were away from Dufton by 0730 having had a very filling and breakfast and a lift from Long Marton back to Dufton. Great Dun Fell Radar station is above the cloud line for two thrids of the year and as we were going almost as high I suspect that it is no surprise that we rose above the clouds. In the distance the Lake District was clearly visible and the weather was delightful or at least it would have been if I hadn’t kept sitting on my drinking spout and wasting water. 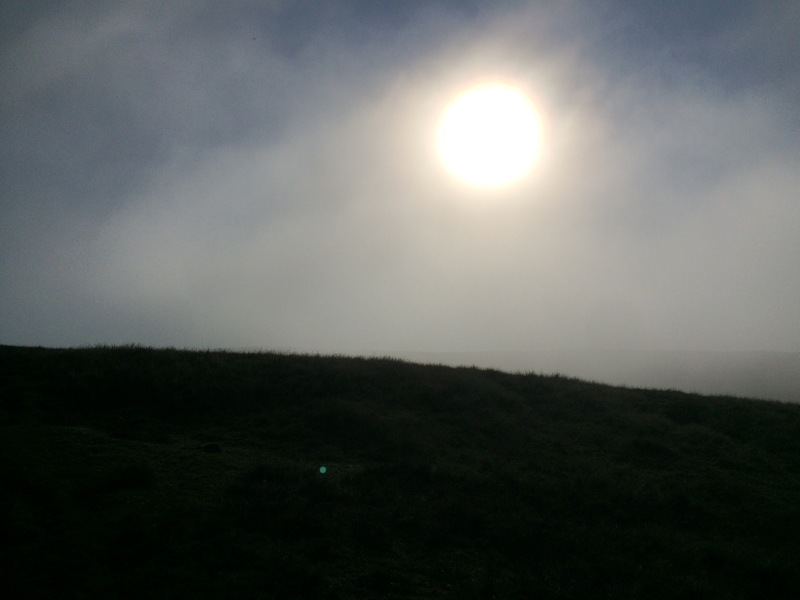 As we approached the summit of our journey (the day was skewed towards a steep climb at the start followed by 15 miles of steady decline) I was briefly concerned that we would be entering the cloud line again which at the time seemed like it would be a great labour but actually with hindsight some cloud cover would have been really useful. As we approached the top we found this man made cave. 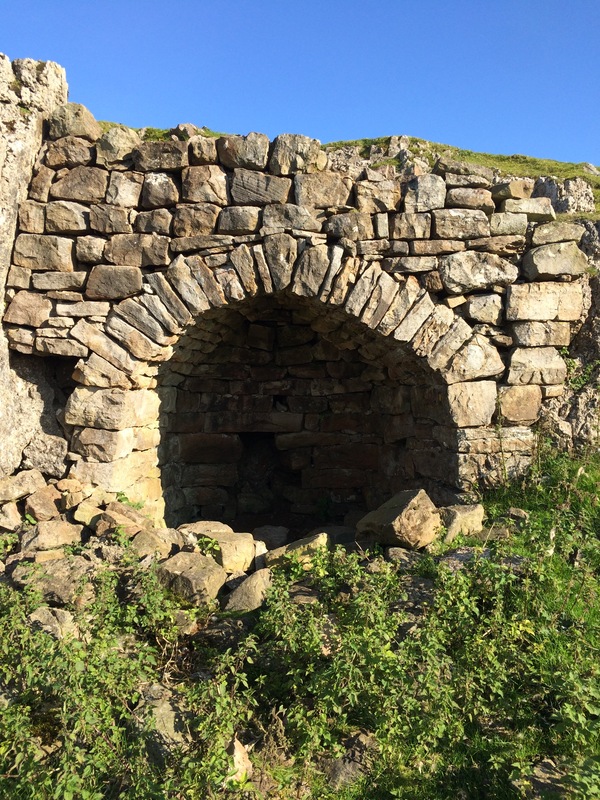 I wondered if it might be a lime kiln but inside it appears not to be covered in soot. It required a little extra climb to go and have a look at it which I wasn’t wholly convinced was effort that was really worth it but dad seemed keen so we went to have a look. Out of the frypan and into the cauldron. 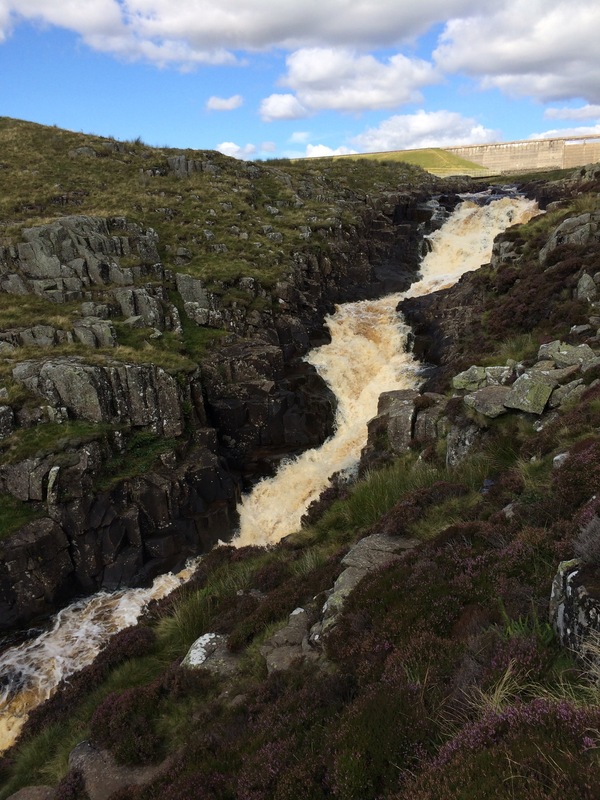 The highpoint of todays trip was a waterfall known as Cauldron’s snout. The climb down the side of which was very difficult and seemed rather treacherous. My altitude graph gave the impression that the resultant walk into Middleton would be a delightfully easy stroll along the river. Unfortunately I hadn’t factored in the many requirements to scramble over sections of stones which proved to be difficult, slow and probably dangerous. In a previous post I said that crossing the road at Greenhead had probably been the most dangerous thing we have done so far and while this is likely true climbing down here was surely the second most dangerous. Do people really come here for this? 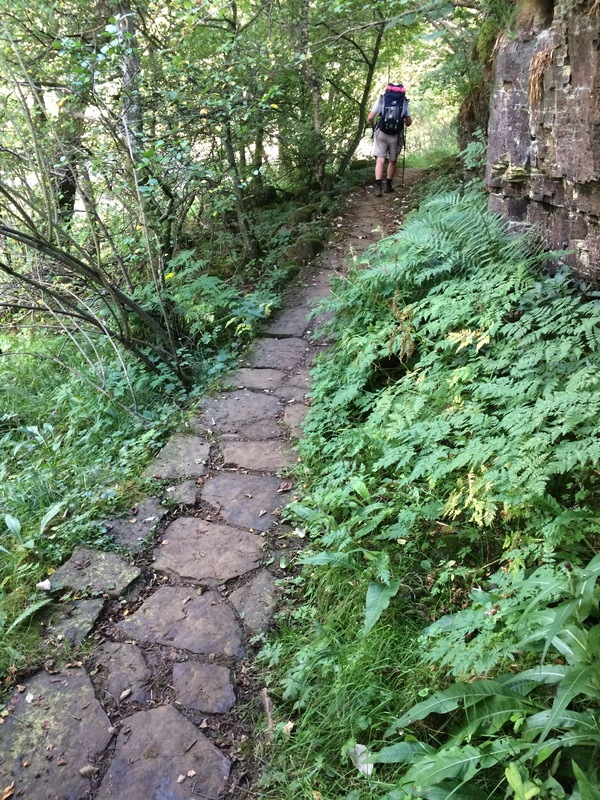 Once we’d scrambled over three separate sets of stones and calmed a fisherman by assuring him that there was no fishermen further upstream nicking all his fish the path became quite well maintained. 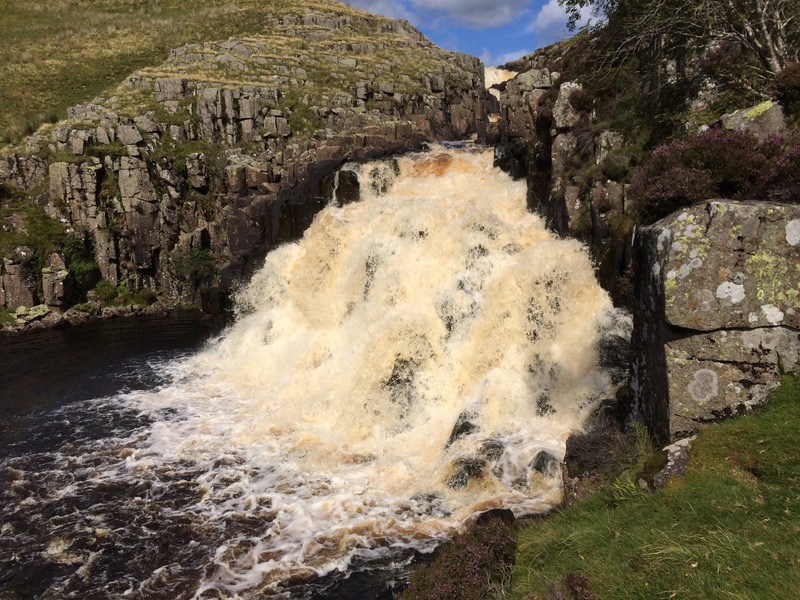 I had hoped that this would continue all the way into Middleton but it turned out to only be a nice path up until the car park to allow you to see the waterfall that was actually High Force. On the way to highforce at about 4 o’clock in the afternoon we met a small group near to Langdon Beck who wanted to know how far it was to Dufton because they had accommodation booked there. 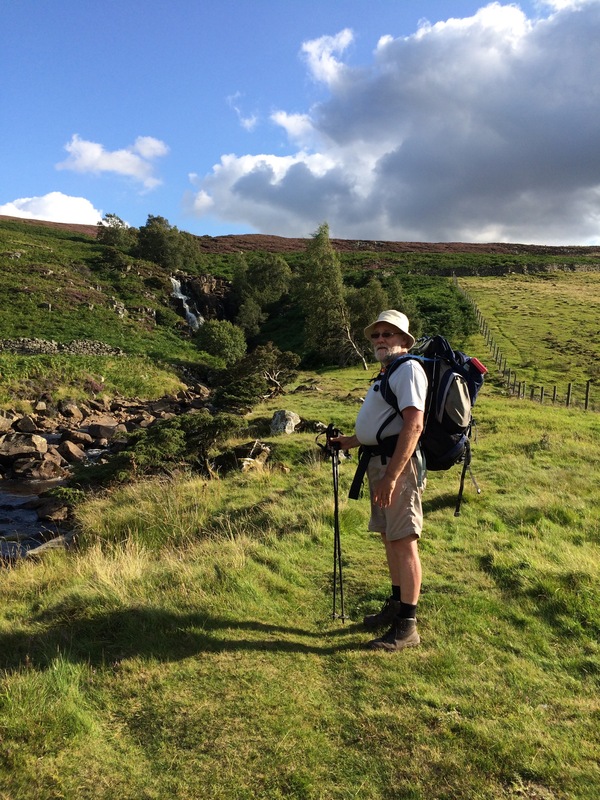 They seemed to be optimistic of finding a tax to take them to Dufton (there is a pub in Langdon Beck so they have a chance) I tried to encourage them to stop at the Langdon Beck Guesthouse as they had 14 miles ahead of them and had only managed 6 miles in 6 hours. I hope I was successful. 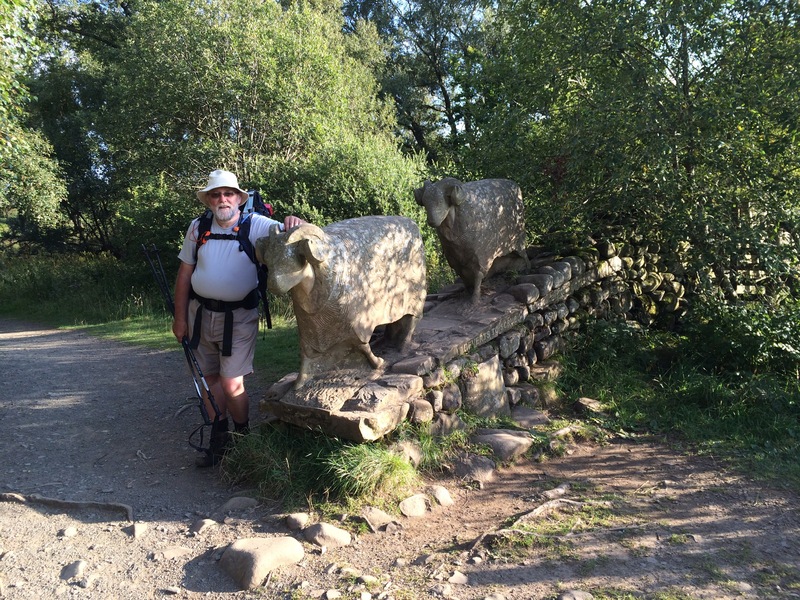 The end of our nice path was clearly marked with a delightful set of sheep statues which my father kindly agreed to model. Fortunately I was essentially right and though this path ended as we approached Middleton proper the amount that had been spent on the path clearly began to increase and eventually we arrived at the best path yet. Not only was it flagged but there were trees to provide shade. 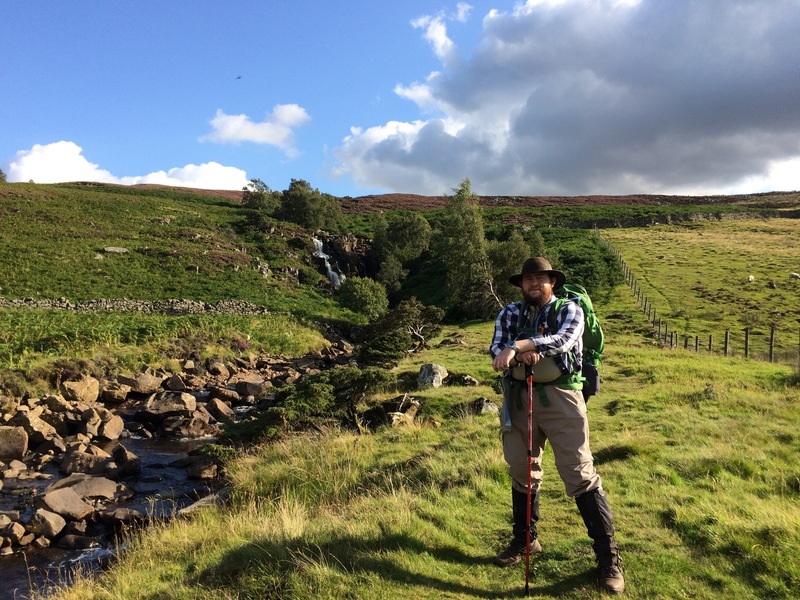 Contender for best path on the Pennine Way? The end was now in sight and for those with a nervous disposition you should look away now, We arrived at the B&B in time for an evening meal but had not been sure that we would so had cancelled it. This was probably a mistake but given how tired we were going to bed was the only sensible choice. 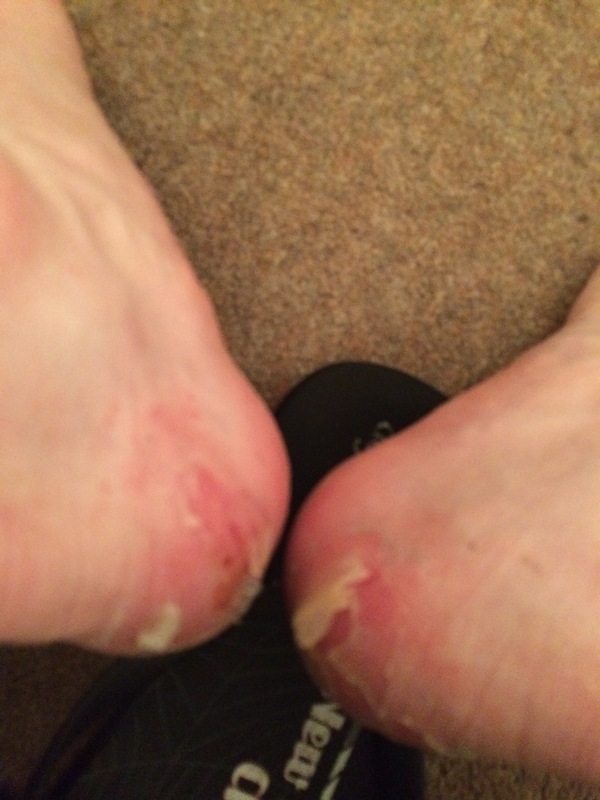 I did, however, have time to snap a picture of my blisters. If I can work out what the difference is between the days that the blisters all go wrong and the days when it goes well perhaps I can stop it going wrong. Not the worst, not the best.